When Living Colour broke big with the guitar-snarling 1988 hit "Cult of Personality," it momentarily assuaged a syndrome endemic then and no less prevalent today: the dearth of African-American rock bands. Whither the lineage of Jimi Hendrix, not to mention all the black music on which rock's foundation was built? Hip-hop and R&B have been regular destinations, of course, but still: It's remarkable how rare the likes of Living Colour frontman Corey Glover and guitarist Vernon Reid remain. Both will be in action as the New York band pays 25th-anniversary tribute to its debut album, "Vivid," which featured collaborative input from a varied cast including members of Public Enemy and Talking Heads. 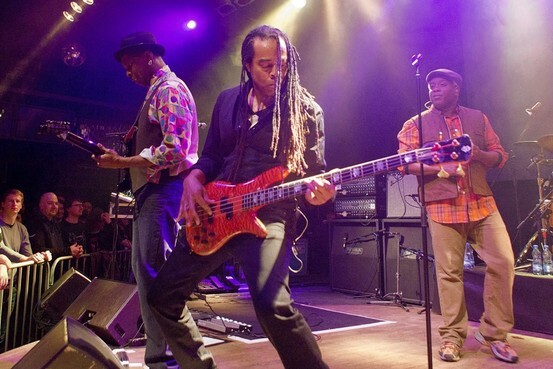 No such figures are on the bill to mark the occasion here, but Living Colour has more than enough energy to expend on its own, with a deep history to mine and continued activity including an album, "The Chair in the Doorway," released in 2009.